WRLD 3D maps are built using high-quality geographic data so you can create 3D visualizations, run simulations, and develop dynamic location-based experiences and games. Robust digital map-making power for developers to quickly create virtual worlds, smart buildings and more. Build your web, mobile, VR, or AR app today using the WRLD 3D maps SDKs and map design tools. WRLD ingests licensed mapping data from select partners like TomTom and open source map data from OpenStreetMap (OSM) to build an accurate and robust 3D map of the world. Our 3D maps are ready built with textures and custom-made landmarks so users can explore and engage with the real world easily through a virtual map. WRLD vector-based 3D maps can change dynamically in real time, render data quickly at a high-frame rate, and smoothly deliver new content. The WRLD Map Design tool opens up map design and point of interest management to help you create custom maps that your users can interact with in real-time. Easily create a more enjoyable employee, student, customer, or facilities management experience by uploading and managing your own indoor map to integrate within your building map or campus app. The WRLD Indoor Map services team is ready to assist in complex cases with advanced technical support. Get started using the WRLD Unity SDK to create rich location-based games and build new immersive worlds, including VR games and AR apps. WRLD 3D maps are ready-built, textured, and based on a real-world coordinate system. Combined with the Unity game engine, this makes for robust and high-performance gaming and world-building. WRLD 3D maps are the building blocks to build digital twin experiences for smart buildings, connected campuses, and smart cities of the future. 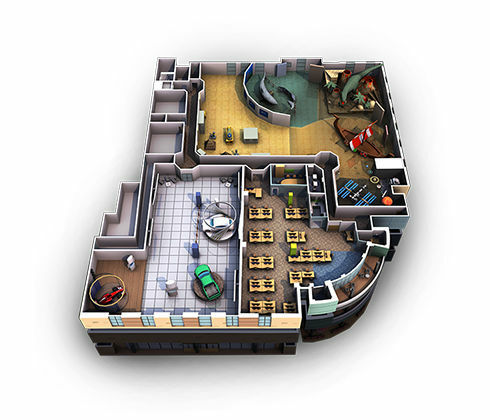 Use our indoor map design and management tools to start building smart office, connected retail, or commercial real estate solutions today. 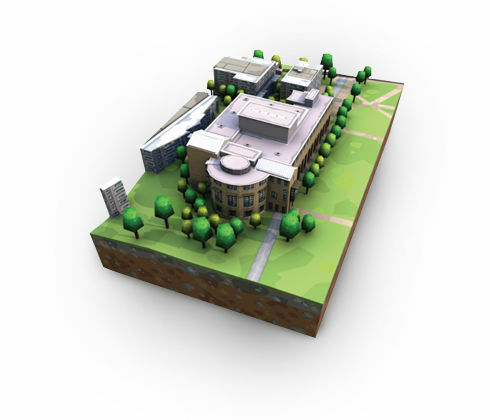 Connect your campus community with a robust 3D map that’s useful for students to facilities managers. Build real-world simulations and visualizations using 3D maps to predict future outcomes for smart cities. Contact the WRLD sales team to learn about further support levels like indoor positioning, on-premise hosting and custom detailing.